Liz is an illustrator based in the North West of England who specialises in the art of visual storytelling. Her current work focuses on capturing a sense of place and occasion, including urban and rural street life and the diversity of activities and events. 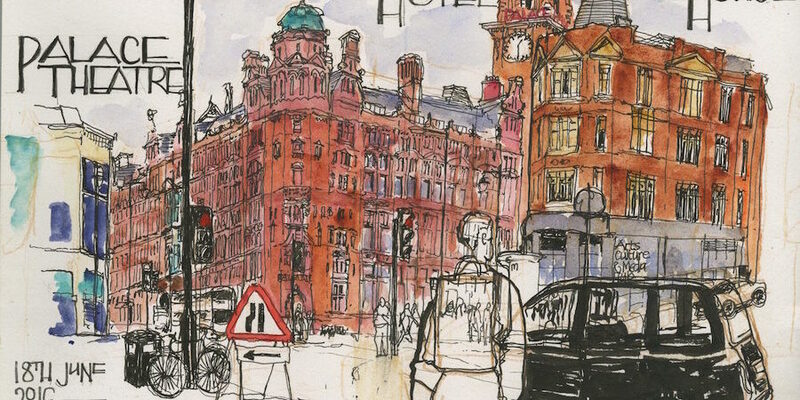 She has an interest in documentary drawing and works to commission for both private and commercial clients (Manchester Histories Festival 2016, local correspondent for the seventh International Symposium of Urban Sketchers 2016 held in Manchester, and The Platform Event for Manchester Airport Group February 2017). 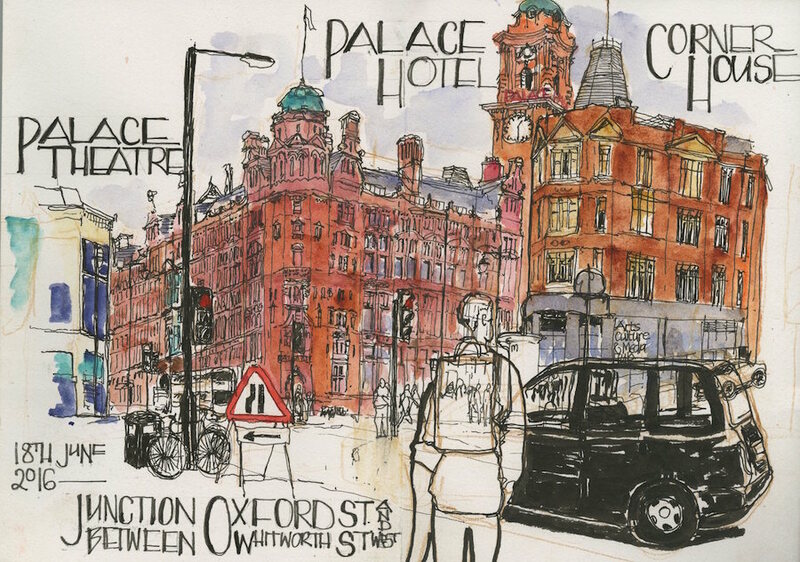 Her work is captured mainly on site, observing and drawing in real time. Wedding illustration is an area of interest, capturing aspects of the special day in sketches. Her work is characterised by a combination of illustrational drawing in pen, ink and watercolour together with text as narrative. Liz sells originals and prints of her work. Check out her website for more information, and her blog where she writes about projects and process.